Looking for an affordable and reliable company to transform your favorite photos into high quality canvas prints? Then come to Superchrome. We are a top digital company providing a wide range of services to clients across the world. We are specialized in photo to canvas printing, in which your photos are printed directly onto canvas by adopting the latest digital printing and imaging technology. 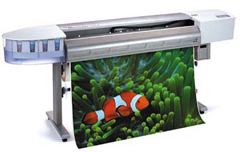 At Superchrome, we have the necessary resources, facilities, and efficient manpower for your photo to canvas printing. We make use of high quality digital printers with specially formulated inks. Our designers prepare your photo for canvas printing paying special attention to your tastes and needs. We do minor changes including cropping of unwanted portions and color adjustments with the photos. Once these changes are made, we send you a copy of the finished work for your satisfaction. If you are fully satisfied, then only we do the final printing work for you. Like our other services, our photo to canvas printing service stands superior in quality, is cost-effective and dependable. Our prints remain for long periods of time without any scratches and yellowing on the surfaces. Additionally, our photo to canvas printing is available in two styles, one with photorealistic effect and the other with oil painting effect. In photorealistic effect, the canvas prints look exactly the same as the original photographs. And in oil painting, we add digital paint effect on canvas prints without any additional payments. Superchrome accepts your photos, negatives, slides, and even transparencies for photo to canvas printing. We support almost all industry standard image file formats, including TIF, BMP, PSD, JPG, and TGA. We do printing on different canvas material, including lightweight poly cotton, natural artist, and heavyweight, waterproof ones. We apply clear vinyl coating on the surfaces which are protected from harmful ultraviolet rays. We can deliver the prints within the specified time period. Stretching, mounting, framing are other services available along with our photo to canvas printing. For further information, please contact Superchrome at the earliest. If you would like to know more about photo to canvas printing>, any of the projects shown or if you want to discuss any project you have coming up then contact us 020 7237 9333 or fax 020 7237 9444 or email sales@superchrome.co.uk. Our experienced personnel would be able to guide you appropriately.